The day after Yarnell, I restocked my tiny travel trailer with evacuation’s irreplaceables: 23 filled journals, my British mother’s 19th Century sepia photographs of people and places long gone, a painting of my heart’s companion, Bo the Adventure Dog, now-deceased. In an enthusiasm of labor, I also fixed the flat on my horse trailer, bought a new spare, finished the dangling wiring, and loaded the hay rack. I stowed a five-gallon water can, full, in the trailer bay, along with saddles, halters, bridles, and whatever other costly-to-replace gear I could manage. I put the horses’ favorite treats in the mangers and set the incentive stick on the wheel well. I should have done all this the day before Yarnell because this is fire country and because I knew it was coming. Just last week I’d said, “It’s gonna burn this year, and burn big.” And then, forgetting, I went home, propped my feet in my small home’s sweet air-conditioning, and basked in the green, irrigated oasis that is Rockville, Utah. But it could, just as easily, have been us. Yarnell, Rockville, a thousand other small towns throughout the West, remote and compact, aggregated in the only places possible: Rockville where water and irrigable land drew farmers in 1860, and Yarnell where water and gold drew miners in 1865. People stayed long beyond the initial impulse, living a modern life on antiquated townsites, disengaged from original purpose and desert reality. 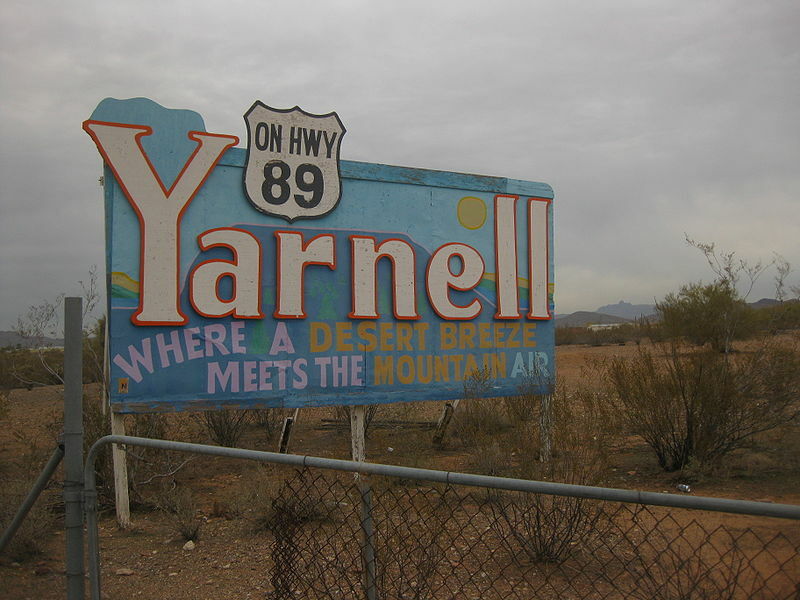 Yarnell, bigger than Rockville, has more than three streets and three times the population, but like most Western towns both grade from watered trees and gardens to brittle, boulder strewn hills with few exit routes where, even in good years, meager precipitation nurses a scruffy fire-prone forest of sage, blackbrush, juniper, scrub oak. In years past clockwork monsoons relieved summer’s drought, and lightning sparked cleansing fires. Regular burns consumed light accumulations of downed wood and autumn debris, moving slowly through desert grasses, pine needles, and spiny oak leaves. But settlement brought fear: for 150 years fires were doused, wood accrued, and fires turned wild. Increasing summer temperatures, precipitation’s slow dwindling, shifting monsoons, and stockpiled combustibles fuel wildfire’s new ferocity. The last two decades’ combined controlled-burn acreages are small consolation in a West ready to burn. There isn’t much to be done except pack the trailer. This, if and when it comes, will be my fourth evacuation: twice for fire and once for flood, though I didn’t leave that time, choosing to stay in my darkened town where my horses stood, heads hanging, in improvised day-glow-orange emergency blankets, fetlock deep in mud. It was December and after more rain than I’ve seen in all my desert years, belly-heavy, gunmetal clouds rested like slipped lids far below Zion Canyon’s redrock lip. Upstream, the sodden, earthen dam on Short Creek threatened, and I didn’t know where to take the horses. I do now. Today, men dressed in crinkly nomex, fire-crew green and yellow, mill about the town fire station, waiting. No one speaks of Yarnell. In this town where everyone has worked, knows someone who has worked, or now works for fire, the 19 are not mentioned. No one says, “Did you hear…?” No one says, “What do you think…?” We all know. It’s as if, like freshly provisioned fire packs sitting by front doors and riding in pickup beds all over town, the news is almost too heavy to carry. This summer I cannot irrigate, sprinkle, or haul enough water to keep my garden alive. Tomatillos wilt, honeysuckle stunts, pasture grass browns. Having livestock ups the ante: dead grass means hungry horses, costly hay, a more serious evacuation. My tenuous connection with Rockville’s past beats a bit more true, but I can buy my way out of a drought, shop my way past failed crops; I can leave. Today the acrid smell of smoke fills the canyon, the sun’s odd eclipsed light. The world throbs orange haze. A fire south near Las Vegas, someone says, or north near Minersville puffs signals on strong, hot winds. I look to the travel trailer, askew in the yard, my “I-can-only-pull-one-trailer-at-a-time” plans thwarted by the latest flat. I planned to move it to a friend’s house deep in the Big City’s irrigated green, leaving me free to deal with the horses’ panic and mine. I hate evacuation’s grab-everything adrenalin confusion, the irritating nag of something forgotten. As evening settles, storm clouds grading violet to blue-black thicken over the canyon. Do they bring rain’s release? Lightning’s fire? Slickrock’s flood? Evacuation?